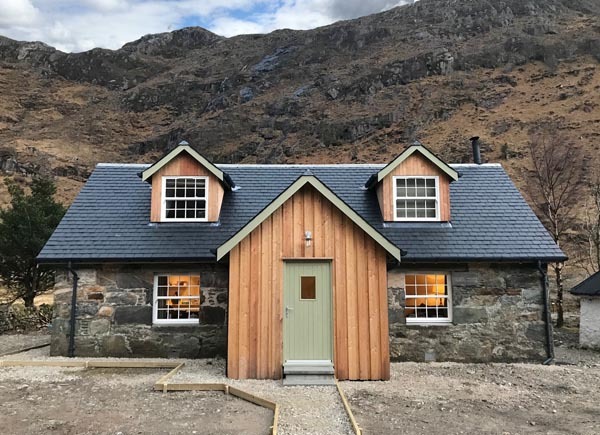 A beautifully refurbished west coast highland cottage with Trout fishing on the owners own lochs - ideal holiday accommodation for walking, painting, dreaming, relaxing, chatting, laughing and connecting with your real self away from the stress of modern life! Lochhournhead is situated at the head of Loch Hourn, approximately 2 hours drive west from Inverness and 1 1/2 hours north from Fort William. The 22 mile Kinlochhourn Road is accessed via the A87 west of Invergarry. This road is a single track road, taking you through dramatic scenery, passing the 1950s Quoich Hydro Electric dam and into the rough grounds of Knoydart. 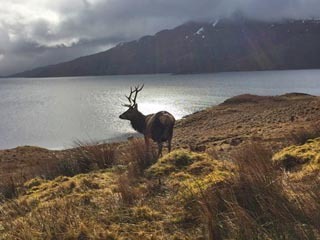 Loch Hourn is a hidden gem, often referred to as fford-like, habitat to a wide range of sea birds, fish, seals, porpoise (dolphins) and outstanding hiking for all abilities. 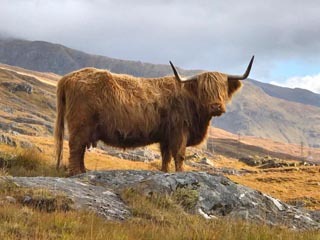 It is also a notable point on the Cape Wrath Trail. The cottage extremely remote and is perfect for those wanting to get away from the stresses of modern day living. There are some challenging hill walks as well as some easier routes on old stalkers paths - all are in the most spectacular scenery and you will be rewarded by breathtaking views. 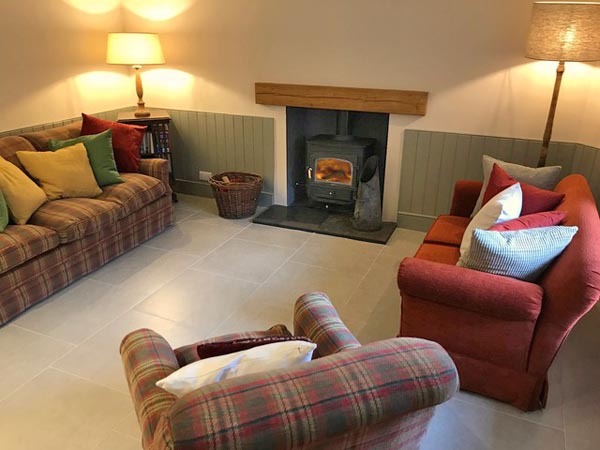 Return from a day on the hills or on the water to relax in front of the wood burning stove in this very comfortable and cosy cottage. 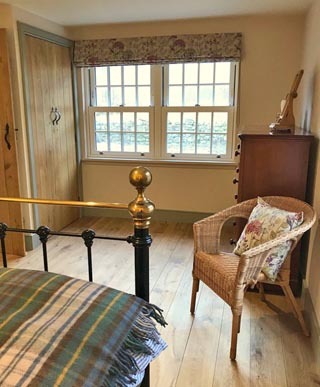 The Old Cottage has been beautifully refurbished and offers very comfortable and cosy accommodation for 6. The ground floor has underfloor heating and has an open plan kitchen (with gas cooker), a sitting room with a wood burning stove. 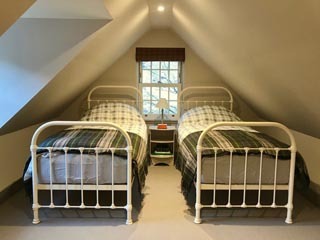 There is a double room and a shower room with WC and handbasin, with windows overlooking the rear. There is also a back door leading onto the garden where you can relax on the garden furniture and enjoy the views. 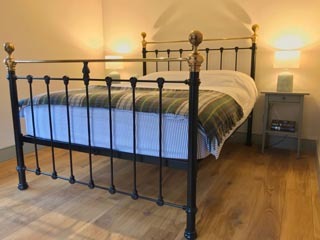 Upstairs, in the original crofting cottage, is a twin room overlooking the loch, and a bigger twin room, in the newly built extension, overlooking the rear with views of the hills directly behind. 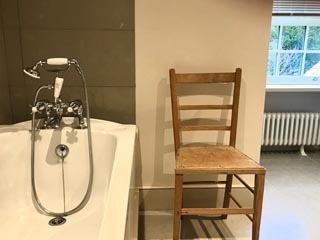 The bathroom has a bath, WC and hand basin. 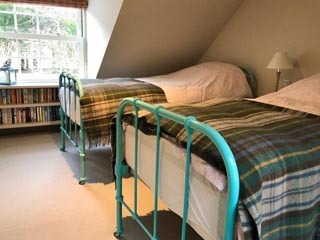 The first floor has radiators throughout and the cottage is very warm in colder months. The owners produce their own electricity via a generator and battery packs, and the water comes directly off the hill. The 22 mile, single track, Kinlochhourn Road is accessed via the A87 west of Invergarry. Logs for the fire are included. Change over day is usually a Friday for weekly bookings but flexible. 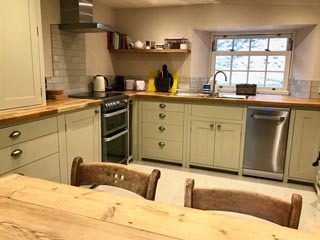 To book this remote self catering cottage in stunning scenery, click the enquiry button below and see availability and prices. 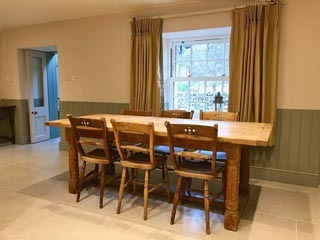 This gorgeous remote cottage has stunning views and has been beautifully refurbished recently. 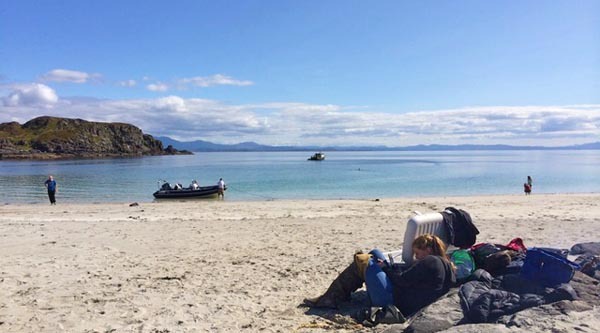 If you are looking to get away from it all in one of the most stunning parts of Scotland then this is an ideal cottage to rentsleeping six guests!